SLOTY is a very eye-pleasing casino with its sky-blue theme, giving the player a break from some of the action-themed casinos out there. SLOTY online casino is all about giving the player an adventure and a good time. Here you can play some of the best online slots, from the old classics to the latest releases. Join in for the Happy-Hour or take part in some of the weekend-bonuses offered at SLOTY online casino. Further below you will be introduced to a video clip of some SLOTY gameplay as well as additional information about the casino. Sloty is, as the name suggests, an online casino that really focuses on giving the player an all-out slots experience! 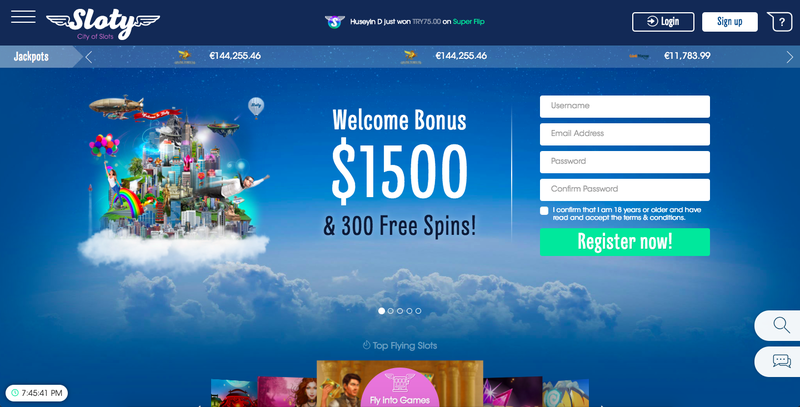 Sloty has distinguished itself with its fantastic and generous Free Spins bonusthat is on the incredible amount of 300! But be ready to make a deposit in order to get access to the Free Spins. This UK casino welcome bonus offered by Sloty is a hefty amount of 100% up to €1,500! The bonus is divided into the first 4 deposits to keep an incentive for the player to keep visiting their site. This is, of course, something that has to be understood in order to grasp the reason a casino offers such a huge bonus. Sloty doesn’t stop there and really have it out to beat the casino market leaders by dishing out new casino campaigns and bonus offers on a regular basis. They have weekend-bonuses, Happy Hour-bonuses and weekly-games bonuses. And the thing that really makes Sloty stick out from the crowd is their extremely rewarding loyalty system! 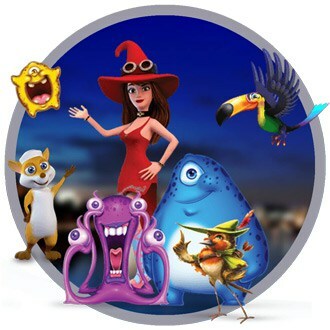 The players putting in the most efforts and game time is rewarded with an VIP-status granting a lot of exclusive bonuses such as your own Sloty contact to help you with whatever you need and bonus offers such as invitations to different events and exclusive lotteries only for VIP members. You can even get yourself an international flight ticket and a birthday gift. As mentioned, Sloty has some really crazy welcome bonuses. The welcome bonus is divided into four bonuses which is awarded at your four first deposits. The first bonus is 100% up to £300, The second one is 50% up to £400 and the third and fourth one is 25% up to £400. All in all, this bonus amounts in €1,500 and 300 of the best free spins, keep your winnings! This is a pretty hefty bonus and can be used on a lot of different games from NetEnt. The Free spins will be to your disposal the day after your first deposit is made. The wagering requirement at Sloty is x40 on both your welcome bonus as well as your Free Spins. This is on the high end of the wagering requirement spectrum, but is well expected and there is not so much you can do about it. If you’re considered to be a valuable asset and continuous player you might be invited to Slots online casino VIP Loyalty Club, where you will be rewarded with different kinds of extra benefits, for example you’ll be assigned your own personal VIP account manager, a lot of exclusive casino bonuses and even a birthday gift. Also the withdrawal waiting times are reduced significantly and of course exclusive VIP offers, sometimes in the form of a ticket to a VIP event. Of course, the VIP Loyalty Club is a nice addition, its not a necessity to get the full Sloty online casino experience. Sloty has a big selection of casino games, so rest assured that you’ll probably find something that fits your taste, no matter what you are looking for. You can cruise around 1,300 game titles and most of them consist of slots (as the sites name suggests). It’s worth to mention some of the game developers that bring the highest volume of slots at Sloty, which are NetEnt, Microgaming, Play’n Go and Quickspin. The slots vary between everything from 3, 5 and 7-reel classic and video slots. You’ll find them with all sorts of features – bonus rounds, unique icons, games that feature different themes like video games, films and other things that are related to famous events. Something cool is that you can play the slot machines either for the fun of it or with real money. Playing with real cash will require you to create an account, but playing for fun won’t. This means you get to “test drive” some of your favorite slots before using any real money. Evolution Gaming and NetEnt also delivers Live Casinos such as Black Jack, Roulette, Baccarat and different kinds of poker. NetEnt has a foot everywhere and shares the stage with Microgaming when it comes to progressive slots. Progressive slots offered is, amongst many, Major Millions and Mega Fortune. Read how to Gamble Like James Bond with the Labouchere Method! We, as well as all our featured casinos, have understood the importance of offering a well designed mobile layout. Pretty much every one of the big fishes nowadays are invested in presenting a nice looking mobile layout and Sloty online casino is there with them. 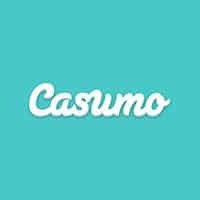 They have really compatible mobile games available, so for everyone who is on the move, the mobile-adapted site is easily accessible through your smartphones web browser. There might be a slight risk in not being able to find your favorite games through the phone, since the mobile platform only holds about 300 game titles. Sloty customer support is accessible 24/7 through phone, e-mail and live chat. The live chat is easily found and the replies are always really quick. For longer inquiries, the e-mail response might only take a day or two. There is also a nifty F.A.Q section where you can get some of your answers in no time at all. EDIT: After further investigation, Sloty even offers a customer support option through Skype. Sloty has a really light and cheerful theme that literally takes you up in the clouds. The theme is characterized by a light blue sky approach and really takes the edge of the whole “casino” experience. In a good way or a bad way is up to each and everyone to decide. No matter what you think of it, its really clean and easy navigated. 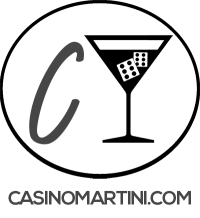 The two best things a casino can do is to offer an easy to find registration box and the amount of welcome bonus that is offered in a clear and accessible way. It’s easy to figure out that Sloty has put a decent amount of time in producing a well-designed web page that has some really cool graphics effects. This might not be the biggest contributing factor in whether or not to choose Sloty or not, but it is a really nice incentive to the visitor that shows that they are serious with their online casino. Sloty protects the privacy of your personal information as well as your financial information using standard encryption technology. This is pretty much standard at all well-renowned sites these days, it is a really good security feature. This results in any personal or financial data transmitted to and from Sloty is protected from being accessed by a third party. Even though Sloty doesn’t present any kind of fairness program or any retrospective monthly payout audit on its website, the casino has acquired gaming licenses to operate via the United Kingdom Gambling Commission(UKG) and the Malta Gaming Authority (MGA). 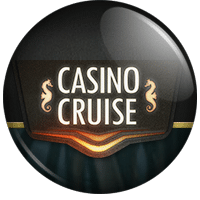 The casino operator, Genesis Global, stands behind a wide collection of major casino brands, for example, Casino Cruise, but still, no actual payout numbers and certificates that the site holds for fairness. 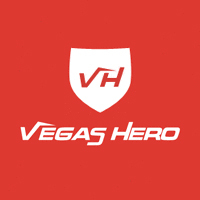 They have the usual “self-control” program where the player can administer their own limits to deposits, wagering, and time spent on the site. You can also self-exclude yourself from the site for a period of time. 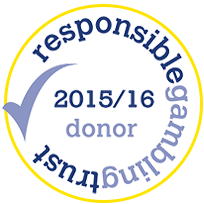 This lets you spend only what you can afford to risk whilst maintaining a level of self-control. 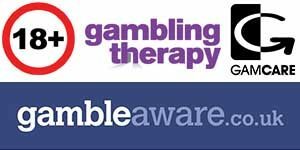 Also, the site helps you with identifying gambling problems as well as sites designated to help people cope with problems of this kind. “Gaming should be pure entertainment, however, you can’t always win. Unfortunately, losing is also part of the game so we want to make sure you are prepared for this. We want to make you aware of the social and financial difficulties that can occur if you find gaming is no longer about having fun. Sloty offers a wide variety of payment methods, to cover every player preferred payment options. This is probably due to the casino owners past experience in what is on high demand when registering on a new casino. As for the MasterCard option, do be aware that some MasterCard withdrawals can be denied due to you banks restriction, so be sure to check this out before so you wont get into any trouble. It’s with great pleasure to see that there is no mandatory pending reversal time on any withdrawals, but €5,500 weekly withdrawal limit is a bit on the lower side. If you happen to come over a really big win, everything over €100,000 may be paid over 10 equal monthly installments. Sloty discloses that its segregation of player funds from the casino’s day to day operational funds only meets the UKGC standards classed as basic. This is, for someone with a law degree, a possible risk to not be able to withdraw any funds in any case the casino might go out of business and won’t be protected from the bankrupt’s estate – even though they are held in separate accounts. As usual, all the e-wallet options have a withdrawal time in around a couple of hours while the more traditional bank options may take up to a couple of days. A casino that waves with such nice welcome bonuses and has a game title library of over 1300 games has a lot to live up to. Sloty has a good reputation with a lower than average complaint rate. Sloty keeps a professional touch all through their website, have a well-established game developer team and fast payout times. One thing truly lacking, and is mentioned above, is the missing regulations in terms of the casino’s day to day operational funds only meets the standards classed as basic. Another big drawback is the lacking of a retrospective monthly payout audit on its website, which is a good tool for people who like to track progress and crunch those numbers! Other than this, Sloty shows prominently in its way to keep a professional and up to date online casino – and a visit to Slotys online casino is recommended!